1855 Capital is really proud of PLEDGE IT for helping fight childhood cancer. The annual Touchdowns Against Cancer fundraising campaign benefiting St. Jude Children’s Research Hospital uses the PLEDGE IT platform to power their fundraising efforts. 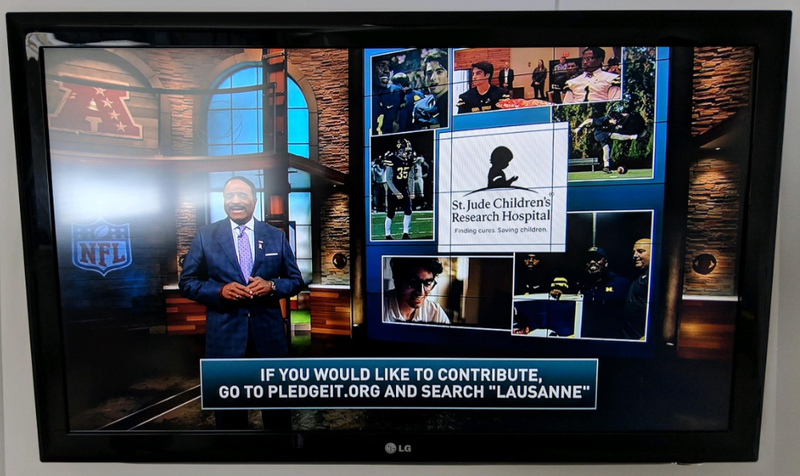 Recently, CBS Sports featured PLEDGE IT during the “NFL Today” broadcast and tweeted a video highlighting some of the student-athletes leading the Touchdowns Against Cancer fundraising efforts for their team. It’s worth taking a few minutes to watch the video and see how these incredible student-athletes are using PLEDGE IT’s platform for good!